Fiber Optics Cabling Archives - Premier DataCom, Inc.
Alchemy Systems required a full network consultation and design for the office network. 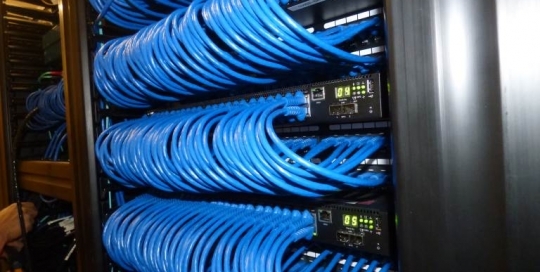 Over 400 Category 6 cable drops and fiber installed among 2 separate IDFs.. Premier also installed all associated racks, cable suspension, hardware, and cable management. 1 foot patch cables were utilized to connect the switch and patch panel to maintain a clean and organized rack. I-Control’s initial installation called for an entire network design and build-out for the entire office system. The pictures portrayed here represent a follow-up project that required a relocation of the entire MDF to the opposite of the wall it was originally located on.